Pop music, often called simply pop, is contemporary music and a common type of popular music (distinguished from classical or art music and from folk music. The term does not refer specifically to a single genre or sound, and its meaning is different depending on the time and place. Within popular music, "pop music" is often distinguished from other subgenres by stylistic traits such as a danceable rhythm or beat, simple melodies and a repeating structure which are reminiscent of the songs of vocalists such as Karen Carpenter and Roberta Flack. Pop song lyrics are often emotional, relating to love or dancing. Pop music may include elements of rock, hip hop, reggae, dance, R&B, jazz, electronic, and sometimes folk music and various other styles. For example, in the 1920s–1950s pop music drew influence mainly from jazz, beginning in the 1950s from rock and rhythm and blues (R&B), and since the 1980s, from hip hop. The broad appeal of pop music is seen to distinguish it from more specific types of popular music, and pop music performers and recordings are among the best-selling and most widely known in many regions of the world. Today distributed by major record companies as part of a global music market, pop music often involves mass marketing through radio, television and other media, making it a part of many people's daily life. As such, it has also faced criticism. A pop song may be written by a professional songwriter or composer whose work is then given to a professional singer, or it may be written by the singer who performs it. Since the success of The Beatles in the 1960s, it has become increasingly common for pop music performers to write their own songs. However, many pop songs are not written by the performers. Pop standards (songs that have achieved fame in their own right and are performed by many different singers) and cover versions (recordings that are "covered" by a later performer) are also common. When the singer and the writer of a song are different people, it is the singer who is considered the "pop star," with the writer working behind the scenes. Pop stars have sometimes been criticized for not writing—or in some cases, even singing—their own material by fans of genres where such a practice is usual (such as rock bands, rap MCs, or singer songwriters). On the other hand, pop singers have sometimes been criticized for a lack of artistic training and technique by listeners of classical music—where performers usually interpret music written by others. The development of recording methods is seen as a major influence on the sound of pop, distinguishing it from classical music and jazz, as well as from some types of popular music which may seek a more "natural" sound. Pop music performers typically make use of state-of-the-art technology and recording studios to achieve the sound they want, and record producers may have a heavy influence. In the recorded music era, the single (a single song) and the album (a collection of songs) are the usual methods of distributing pop music. It has been distributed in many formats included vinyl records, cassette tapes, compact discs, and Internet downloads. Pop music generally uses a simple, memorable melody and emphasizes the rhythm, often with syncopation, and stripped down to a basic riff or loop which repeats throughout much of the song. Pop songs usually have a verse and a chorus, each with different musical material, well as a bridge connecting them in many cases. The vocal style found in much pop music has been heavily influenced by African American musical traditions such as rhythm and blues (R&B), soul music, and gospel. The rhythms and the sound of pop music have been heavily influenced by swing jazz, rock and roll, reggae, funk, disco, and more recently by hip hop. The songs are often about love, or about dancing. Many pop songs are also self-referential, talking about the performer and referencing their own performance of the song. Music videos and live performances are often used for exposure in the media, and artists may have extravagant stage shows and use choreographed dancing. Music videos are often released after the original single, to encourage that both the video and the song be bought. "Image" is usually considered an important aspect of pop music, and the public presentation of its performers through videos and interviews has been responsible for both praise and criticism of pop music. As records, CDs and DVDs became cheaper, the age of the average consumer of pop music dropped dramatically. 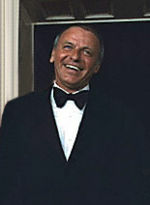 In the early years of recordings, artists like Frank Sinatra sang about love affairs, champagne, and night clubs; lyrics that appealed to investors, business, and "classy" market. As records became cheaper, teenagers were able to influence the market, especially during the promotion of the worldwide Beatles tours. In recent years, children have become one of the largest music markets, reducing the age of the average consumer of pop music drastically. Young people have always been interested in fashion, and spend their money on new artists. Whereas the previous generation tends to keep to their favorite artists, young people conform more to peer-pressure. This conforming creates waves of commercial support for particular artists, and establishes pop music as an important mediator of youth culture. Because of this, pop music has historically been the source of numerous moral panics; parents viewing explicit and suggestive lyrics as gateways to immorality and blaming pop music for perceived increases in objectionable behavior within youth culture. The dance music element of western pop music can be traced back to Ragtime, which was initially popular in African American communities, and mainly disseminated through sheet music and player pianos. Ragtime turned into Swing, an early form of Jazz that was enjoyed as much for its dance ability as its mutability. It is important to note that the clarity of the instruments (brass in particular) and punchy nature of the rhythm helped to ensure that these music forms were the first to be recorded and pressed onto primitive record discs. Both of these dance forms originated in African American communities, and spread to white communities especially through venues that would hire black performers. Even early Jazz in Paris was influenced by Black and White Minstrels performing ragtime music. Like Rock ’n’ Roll, widespread popularity in white communities to some extent did not take off until white performers could be found to perform it, and certain stylistic elements of it toned down. The crossing of race-based social boundaries around race, for ragtime, swing, and later Rock’n’Roll, was the source of many moral panics in America inspired by pop music. Styles influencing the later development of pop include the Blues, also originating in African-American communities (for example: electric guitar Blues in Chicago and Texas), and Country coming also from "hillbilly music" of poor folk, white and black (Sun Records in Tennessee), which blended to become Rockabilly. The most important ingredient in early Rock n' Roll was, however, the type of Jump Blues / R&B led by Louis Jordan who occasionally broke through into the pop charts. The music later on was mixed with gospel handclaps, boogie woogie and larger emphasis on backbeat, by artists such as The Treniers, which created Rock 'n' Roll. The rise of the crying and emotional singers in the late 1940s, such as Mario Lanza, began the pop music vocal style. Early Western Pop music artists include Tommy Steele, Marty Wilde, Bing Crosby, Frank Sinatra, Dean Martin, Bobby Darin, Bobbejaan Schoepen, and Peggy Lee, but other artists like Bill Haley and his Comets, Platters, Fats Domino, and Elvis Presley became popular with the younger generation. In Australia there was Johnny O'Keefe, Col Joy, and Bobby Darin. Italian singers such as Mario Lanza sang tunes people could identify and sing along to. In Iran, before the emergence in the early 1950s of Vigen Derderian (known as the "Sultan of Pop"), the music industry was dominated by Persian classical singers. Vigan combined Persian melodies and Persian lyrics with Guitar. 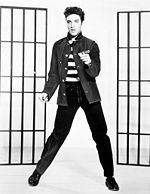 Compared by some fans to Elvis Presley, his good looks and tall, fine physique added to his appeal as Iran's first male pop star—especially among women at a time when ideas of emancipation were taking hold in the 1950s and 1960s. Laïkó was the pop music of Greece in the 1950s and 1960s. Laïkó is similar to Turkish fantasy music. It was criticized from all quarters for its apoliticism and decadence, and its Turkish roots. The influence of Oriental music on Laïkó can be most strongly seen in 1960s indoyíftika, Indian filmi (popular music for movies) with Greek lyrics. Manolis Angelopoulos was the most popular indoyíftika performer, while pure laïkó was dominated by superstar Stelios Kazantzidis and Stratos Dionisiou. Fairuz faces her audience for the first time during the show "Ayyam Al Hassad" (Days of Harvest) where she sang "Lebnan Ya Akhdar Helou" (Lebanon the Beautiful Green) in Baalbeck. Western Pop music teen idols of the 1960s included the Beatles, The Beach Boys, Cliff Richard, Sandy Shaw, The Who, Lulu, The Small Faces, Gene Pitney, and The Shadows. Other pop musicians included, Neil Diamond, the Bee Gees, Elvis Presley, Burt Bacharach, Cat Stevens, Aretha Franklin, Isley Brothers, Ray Charles, Stevie Wonder, The Supremes, Marvin Gaye, Bob Dylan, Simon and Garfunkel, and some of The Beatles' repertoire. The 1960s also saw the first emergence of what was later coined as being boy bands with the most famous from this era being The Monkees. In 1960s Iran's most famous female pop singer ever, Googoosh, found reputation by taking part in various international music festivals. She won the first prize and golden record for her French numbers, "Retour de la vie" and "J'entends crier Je t'aime," at the Cannes Festival in 1971. Her recording of 12 songs in Italian and Spanish for the Sanremo Music Festival in 1973 became an overnight success. She also won first prize at the Carthage Music Festival in 1972 and was honored with the first medal of arts of Tunisia in the same year. Her Spanish song titled "Desde Hacies Tiempo" was an immediate hit in South America in 1973. A proliferation of new sounds from the disco era included the vocal overdubbed harmonies of the Carpenters and Karen Carpenter, ABBA, Donna Summer, the Bee Gees, the piano-based pop of Billy Joel and Elton John, the country stylings of the Eagles and the rock-influenced pop of Rod Stewart, Steely Dan and Fleetwood Mac. Other important pop musicians include Pink Floyd, The Rolling Stones, David Bowie, Led Zeppelin, Supertramp, Styx, Deep Purple, Genesis, Neil Young, Barry Manilow, Rex Smith, Cat Stevens, Carole King, Jackson Five, The Miracles, Elvis Presley, Neil Diamond, Kenny Rogers, Roberta Flack, Carly Simon, Cher, Stevie Wonder, John Denver, Earth, Wind and Fire, KC and the Sunshine Band and Irene Cara. Australian John Farnham and Olivia Newton-John (fame of Grease the Musical) commanded big sales in their home market, with crossover into the UK and for Olivia Newton-John, also US. Arabesque-pop starting in the 1970s, immigration from predominantly south-eastern rural areas to big cities and particularly to Istanbul gave rise to a new cultural synthesis. The makeup of Istanbul was to change forever. The old taverns and music halls of fasıl music were to shut down in place of a new type of music. These new urban residents brought their own taste of music, which due to their locality was largely Middle Eastern. Musicologists derogatively termed this genre as arabesque due to the high pitched wailing that is synonymous with Arabic singing. Its mainstream popularity rose so much in the 1980s that it even threatened the existence of Turkish pop, with rising stars such as Muslum Gurses. This genre has underbeat forms that include Ottoman forms of belly-dancing music with performers like Orhan Gencebay who added Anglo-American rock and roll to arabesque music. In Turkey, (light western)pop became very popular in the 1970s with stars such as Semiha Yanki, Kamuran Akkor, Ayla Dikmen, Erol Büyükburç, Fikret Şeneş, Gönül Akkor, Hümeyra, İlhan İrem, Nermin Candan, Asu Maralman, Yurdaer Doğulu, Zümrüt, Sezen Aksu, Nazan Öncel and Ajda Pekkan reaching superstar status domestically. During the 1970s in Britain, New Wave and Punk brought bands like Siouxsie and the Banshees, Ian Dury, Elvis Costello, The Police and The Stranglers into the pop charts. A mod revival spearheaded by The Jam and Madness followed and opened the way for The Specials, UB40 and Dexys Midnight Runners. Notable highlights for pop music in the 1980s are Michael Jackson's second Epic label release Thriller, which went on to become the best-selling album of all time. Jackson was the most successful artist of the 1980s, spanning nine #1 singles in the United States alone during that decade, and selling over 133 million copies with only two albums—Thriller, and its follow-up Bad. Since the early nineties, Jackson has been often referred to and regarded as the "King of Pop." Another dominant artist in the 1980s was Madonna. Billboard named her the top female act of the decade (and she was the second place act overall coming in behind Michael Jackson). Her success in the 1980s with #1 hits such as "Like a Virgin," "Papa Don't Preach," and "Like a Prayer" led to her eventual title as Queen of Pop and to her being awarded by MTV as Artist of the Decade. Prince also made a popular impact in the 1980s, and he was particularly adored by music critics. A large number of his albums and singles topped or held prominent positions on the yearly Village Voice "Pazz and Jop" Poll  including albums 1999, Purple Rain, and Sign "o" the Times. Songs like "When Doves Cry" and "U Got the Look" were hits for Prince, as were songs he penned for others such as "Manic Monday" (performed by the Bangles) or "I Feel for You" (performed by Chaka Kahn). Other top-selling artists included Cher, Kim Wilde, Gloria Estefan, Paula Abdul, Tina Turner, Tiffany, Kylie Minogue, Janet Jackson, Olivia Newton-John, Duran Duran, The Go-Gos, Huey Lewis & The News, Katrina and the Waves, The Police, Kenny Rogers, James Ingram, Lionel Richie, Stevie Wonder, Billy Joel, Tears for Fears, Rex Smith, Cyndi Lauper, Thompson Twins, Debbie Gibson, a-ha, Whitney Houston, Juice Newton, Richard Marx, Phil Collins, Air Supply, Laura Branigan, Talking Heads, Eurythmics, The Bangles, Hall & Oates, David Slater, Kenny Loggins, Kenny Rankin, George Michael (and Wham), Rick Springfield, U2, Def Leppard, AC/DC, and Culture Club. The late 1980s saw the rise of the Swedish pop duo Roxette. Pop music in the 1980s was heavily influenced by an electronic sound with synthesizers and drum machines, and dance-type music. Now in the present the 1980s is viewed as having many one-hit wonders (although the 1990s have just as many), and the style and fashion sense and "look" in the music videos has been influenced and has been brought back in present clothes and style. Among the most successful pop acts of the 1990s were R&B-influenced pop acts such as Mariah Carey, Destiny's Child, Boyz II Men, Michael Jackson, Janet Jackson, En Vogue, Salt N Pepa, MC Hammer, C&C Music Factory, Brandy, and TLC. Non-R&B artists such as U2,Cher, Michael Bolton, Bryan Adams, Elton John, Alanis Morissette, George Michael, Madonna, Shania Twain, Bon Jovi, Selena, Ace of Base, Celine Dion, Nádine, Aqua, Sheryl Crow, Kim Wilde, Jewel were also phenomenally successful during that decade. The 1990s and twenty-first century were marked by a resurgence of boy band and girl group trends. The U.S. had New Edition, Color Me Badd, New Kids on the Block (in the late 1980s and early 1990s), followed by the Backstreet Boys often referred to as "the best-selling boy band" of all time, Hanson, *NSYNC, 98 Degrees and the huge pop girl band phenomenon the Spice Girls, who are often credited by critics as the revival of pop music in the US. Towards the turn of the millennium, the "pop princesses" appeared such as Britney Spears, Christina Aguilera, Jessica Simpson, Mandy Moore, Robyn, and Willa Ford. From the UK came the likes of Take That, Steps, and S Club 7, while Australia had Kylie Minogue and Savage Garden. Irish boy bands during this period included Boyzone and Westlife. 1999 saw the rise of the Latin pop explosion with Ricky Martin at the forefront, followed by Jennifer Lopez, Thalía, Luis Miguel, Shakira, Enrique Iglesias, Paulina Rubio, and Marc Anthony. Also, there were many pop bands from continental Europe that found their way to topping worldwide charts, such as Aqua (Denmark), a-ha (Norway), Los del Río (Spain), and A*Teens (Sweden). The 1990s also saw the beginnings of a surge of pop into the Asian market, known as J-pop, as originated from Japan. Utada Hikaru and Namie Amuro each sold over 50 million in their respective Asian markets. In the 2000s, pop music paved the way for the multi-platinum successes of artists like Anastacia, Backstreet Boys, Beyoncé Knowles, Black Eyed Peas, Britney Spears, Christina Aguilera, Ciara, Jessica Simpson, Ashlee Simpson, Hilary Duff, Lindsay Lohan, Kelly Clarkson, Gwen Stefani, Mya, Justin Timberlake, Nelly Furtado, Shakira, NSync, Pussycat Dolls and Usher. Robbie Williams recorded the biggest sales for a male artist, mostly in the European market. In 2002 t.A.T.u. emerged from Russia to huge success which they still continue to have today as the best selling Russian act of all time. The divas of the 1990s artists, such as Madonna, and Mariah Carey presented albums that prolonged their rule of the music charts. The Swedish superstar Carola Häggkvist continued her rule of European charts. Other trends included Teen pop singers such as Disney Channel star Hilary Duff. Pop punk acts such as Simple Plan and Fall Out Boy have become increasingly popular, as well as pop rock acts such as Ashlee Simpson and Avril Lavigne and emo music such as Hawthorne Heights, Lostprophets, and Dashboard Confessional. The popular American reality program American Idol has produced many successful Pop artists, most notably Kelly Clarkson, Clay Aiken, Katharine McPhee, Chris Daughtry, and Carrie Underwood, a country pop artist. In Latin America, multi-platinum pop group RBD has achieved a great commercial success becoming the best-selling Latin act on the 2000s. There has also been a major trend which has created multiple tiers of pop singers, with one designed for preteens and teenagers. While this is not necessarily a new development, it is seen by many as detrimental to music as a whole, as it has furthered the compartmentalization for music. Besides Hilary Duff, who is among the major teen pop singers, many other Disney Channel actors have become singers. These artists include teen idols Ashley Tisdale and Vanessa Hudgens. Other Disney artists include Jesse McCartney, Miley Cyrus and Aly and AJ. In the early 2000s, "pure" pop began to morph into a more blended style of music. 90s pop stars such as Britney Spears and Christina Aguilera experienced somewhat diminished sales, and proceeded to change their image and sound to a more "R&B" style, largely due to the dominance of urban or hip-hop radio in the United States. As R&B and pop music blended, more and more "Pop / R&B" artists emerged, such as Ciara, Rihanna, Nelly Furtado, Christina Milian, Mariah Carey, Ne-Yo Akon, T-Pain, Justin Timberlake and Pussycat Dolls. This also happened with rock music with artists such as Hilary Duff, Avril Lavigne, and such. Toward the late 1990s, Korean boy bands, such as H.O.T., lead to popularity with Korean music (K-pop). This was due to the fact that Asian music was now starting to sound more westernized. This eventually led to the die down of J-Pop in the 2000s and saw the rise of K-pop within Asian markets, leading to the craze, hallyu. The hallyu craze has dominated the Asian markets since the early 2000s. With Korean artists such as BoA, Rain (Bi) and SE7EN, breaking records and sales throughout Asia, and having capabilities to sing not only in their native tongue (Korean), but also Japanese and Chinese (Mandarin dialect). This has only contributed to the popularity of K-pop, and has helped it stay on top throughout the 2000s. Pop music is often criticized for being overly simple and repetitive. In contrast to other forms of music that require years to master, it is often viewed as easier to learn and to perform than other genres. The musicians tend to perform less in live concerts compared to other genres. Sophisticated sound studios where recordings are made are able to create mixes that cannot be reproduced in live performances, which leads the singers to "lip sync" the lyrics, rather than to actually sing when performing live or on television appearances. The practice of using lip synching technology shifts appeal of vocalists away from genuine skill toward "image." Pop vocalists often do not write their own music or play an instrument, and the intricacy of other instruments is often traded for simple background chords and synthesizers. Following the MTV music video "explosion" in the 1980s, pop music became more image-based, and musicians became less focused on the musical aspect of their performance. Pop musicians often use simple musical techniques, refraining from complex solos and using odd time signatures, as compared to classical music, jazz, and rock. ↑ Vigen Derderian: Pop idol of a musical revolution in Iran The Guardian, Tuesday 25 November 2003. Retrieved December 13, 2012. ↑ Translations kindly provided by Ali Yildirim. ↑ Pazz and Jop www.villagevoice.com. Retrieved February 28, 2008. Frith, Simon. The Cambridge Companion to Pop and Rock. Cambridge,UK: Cambridge University Press, 2001. ISBN 0521556600. This page was last modified on 28 December 2012, at 16:21.